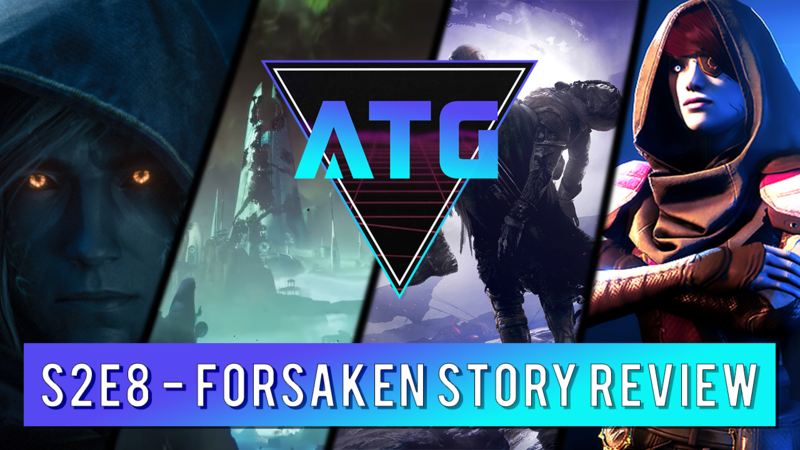 Welcome to Season 2 Episode 8 of the All Things Geekery Podcast – Forsaken Story Review! In this episode, the Geeks jump back into Destiny 2 and do a deep dive review of the latest expansion Forsaken. The expansion takes place in the Reef. The story revolves around a massive fallen breakout from the Prison of Elders by a house of rogue undead Fallen known as the Scorn, who are led by Uldren Sov, the former prince and now traitor to the Reef. Cayde-6 has been murdered by Uldren, and it is up to you the Guardian to avenge his death. In the campaign, the Guardian must work alongside Petra Venj to hunt down the eight Barons who lead the Scorn. Along with discovery of the mysterious Awoken homeland known as the Dreaming City. Be sure to subscribe to the All Things Geekery Podcast and gaming network with any of your favorite podcast apps. Stop by and drop us a review so we know how we’re doing.